Triesta Organics had a promotion where you could get their entire Moisturizing Collection by only paying for shipping, which was a pretty good deal so I decided to give it a try. The collection comes with a Clarifying Treatment, Shampoo, Conditioner and Blow Dry Styling Gel. It also came with a candle which was unexpected and a pretty nice touch (I love candles). It is not for making your hair lighter (which is what I originally thought), it is actually used to cleanse and remove all the buildup that's left on your hair and scalp from the styling products we use day to day while helping to unclog pores and moisturizing your scalp to avoid dandruff. I think this product was a great find because you there are not a lot of treatments that do this kind of thing. Personally I don't use a lot of styling products anymore, but for somebody that use them everyday I would recommend this item. You apply this every 2-3 days. It actually creates a good amount of suds which I enjoyed and has a subtle citrusy smell. It is a little more runny than conventional shampoos which I like because it is easier to spread all over without the need of watering it down (which I did with other shampoos). I don't know if this is the right term to describe the way it feels, but after I rinse my hair, it feels very "raw", you can tell there's no product left in your hair. So far I have only used this one time, but that is only because I don't usually style my hair. But the day I did, I applied it on damp hair, blow dried it and then styled it using the flat iron (I do my waves with the flat iron). My hair looked very shiny and had little to no frizz, which is always a problem of mine. It also held the waves very well. It felt a little stiff at first but this is how it feels when I used other styling gels, I think I'm just not used to it, but all I had to do is comb it with my fingers and it felt much better, and it didn't leave a sticky residue in my hands at all. I will definitely continue to use this product whenever I style my hair. EXTRA: the candle. This one was an unexpected surprise. 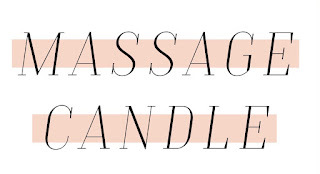 Aside from being a candle, it is a moisturizer and a massage oil too! It comes in three different scents, I got the Cabana, which is a blend of coconut and lime. Smells like a tropical vacation. I haven't tried it as a massage oil, but I used it as a moisturizer on my hands and they are silky soft, leaving no greasy feeling. It comes with a little spoon in case you need it but I just waited a few seconds after I blew the flame and used my fingers to get some of the oil and then smother a tiny amount on my hands. You don't need to use a lot as it is very oily, at least for moisturizing your hands, I don't know about using it for a massage though…The only bad thing about it is that it contains parfum, which I try to avoid as much as I can, but aside from that the rest of the ingredients are basically all oils. Overall I really liked all of the products, I have been using them for about 3 weeks and I have seen a difference on my hair since I started using them. They are made with mostly all organic oils and ingredients, which you can tell by looking at how great my hair looks. I would consider them beauty salon worthy, since my hair looks healthier, softer and more manageable. Most of the times I only use the shampoo and conditioner and let it air day, and my hair still looks great. 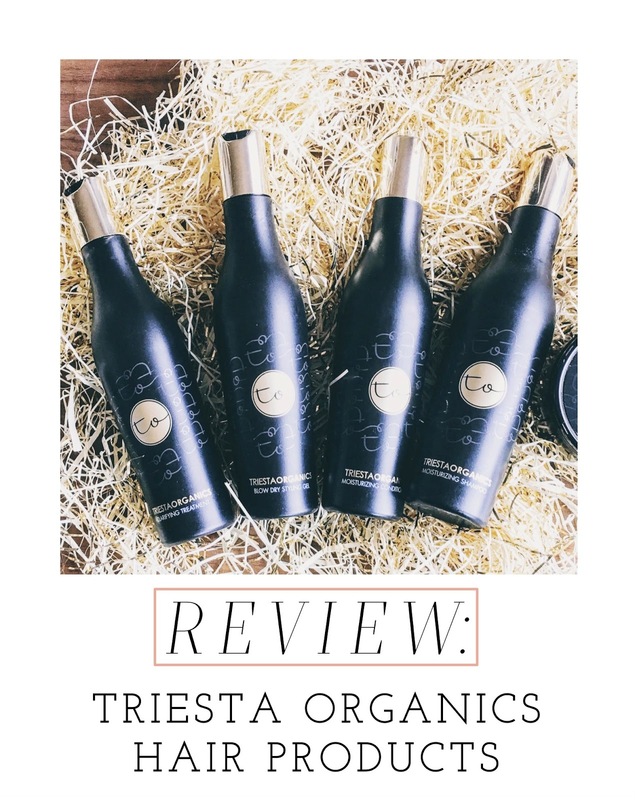 All the products come in 8oz bottles, and all are $32, which for me is a little expensive, but so are other non-organic luxury beauty salon products, and are roughly the same size too, so I would say if you would like to invest in your hair products, Triesta Organics is a perfect choice. Also, I don't see how you would run out of the clarifying treatment and/or styling gel very often, so that is a good plus. If you want to check them out, you can go to their website www.triestaorganics.com, where you can shop their products and find more information about who they are.